Whether it’s making a living or just making a life, fashion and style are part of the world. 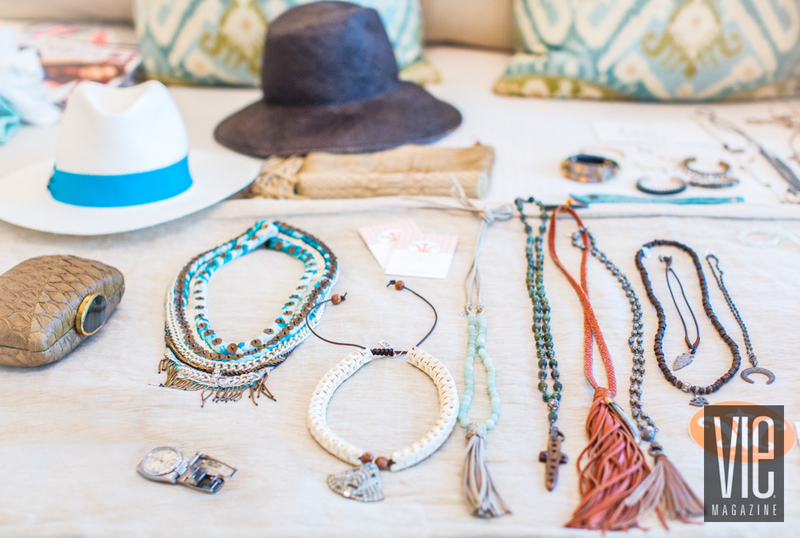 VIEpublisher Lisa Burwell met stylist Amy Giles at a trunk show at Willow boutique in Rosemary Beach, Florida. 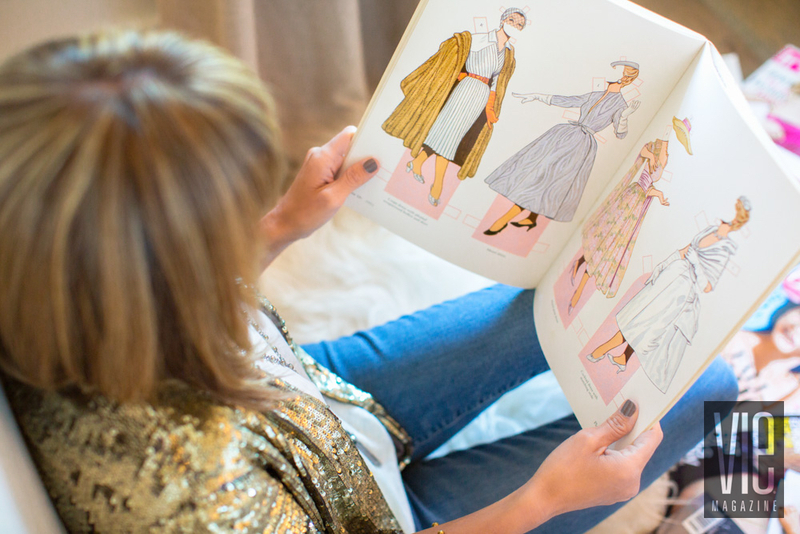 After learning about her company, Wardrobe Made Simple, we were inspired to follow a day in the fashionable life: from the stylists of hair, makeup, and clothing to the clients for whom they create these looks. Although it seems that multitasking has become a way of life in today’s society, sometimes you just don’t have time to do it all. Enter the vivacious and stylish Amy Giles, an Alabama native who moved to the Northwest Florida coast with her husband, John, fifteen years ago. Amy is the owner and founder of Wardrobe Made Simple, a personal styling service that provides wardrobe evaluation and cleanout, personal shopping, and styling for clients who need a helping hand to “find their own chic,” as Amy says. For this project, VIE recruited Amy to demonstrate her wardrobe consulting and styling expertise on four beautiful women: Ellen Wolter, a mother of three and coffee shop owner living in Durban, South Africa; Amanda Sause, a photographer and mother who was already a client of Wardrobe Made Simple; Beachy Beach Real Estate owner Hilary Farnum, who is also a previous client of Amy’s; and VIE graphic designer Lucy Mashburn. Before moving to Durban with her husband, Clint, Ellen lived and worked in Seaside, Florida, at Cornerstone Marketing & Advertising, Inc. – The Idea Boutique under owner Lisa Burwell, VIE’s publisher. “It was a match made in heaven!” Ellen says about her former job. “I was able to learn so much from Lisa in a relaxed environment. We spent a lot of time going out to meet clients, going to events and dinners, and doing photo shoots.” Now, in addition to raising Jackson, Eden, and Sienna, Ellen and Clint own Jacksonville Coffee, a coffee bar with two locations in Durban. As for working with Amy, Ellen says she had fun while also finding ways to up the game on her personal style and feel more confident as a result. As for working with Amy, Ellen says she had fun while also finding ways to up the game on her personal style and feel more confident as a result. “It’s incredible how Amy can pull things together that I would never actually choose for myself in the shops,” Ellen says. “She puts it on you and you feel like a million bucks! You go from kind of dull and average to having a real “wow” factor. It’s nice to have someone who can help you think outside of your own comfort zone and style. Any girl wants to be affirmed, and it’s nice to have someone who will be honest and say if something isn’t working. She’s so easy to be around and not intimidating. Amanda spends much of her time outside on the beach or in the park taking portraits of families and children, a passion that she followed after spending seven years as an elementary school teacher. Her wardrobe tends to work with her. Amanda says she typically chooses light fabrics, such as linen, for everyday wear and that “a good hat is a must!” She is also a mother to two young boys, Kelley and Karsten, and says Amy was a huge help in finding her personal style. She helped me both with personal shopping and taking items I already had in my closet and then making them into a daytime look that can transition into night. 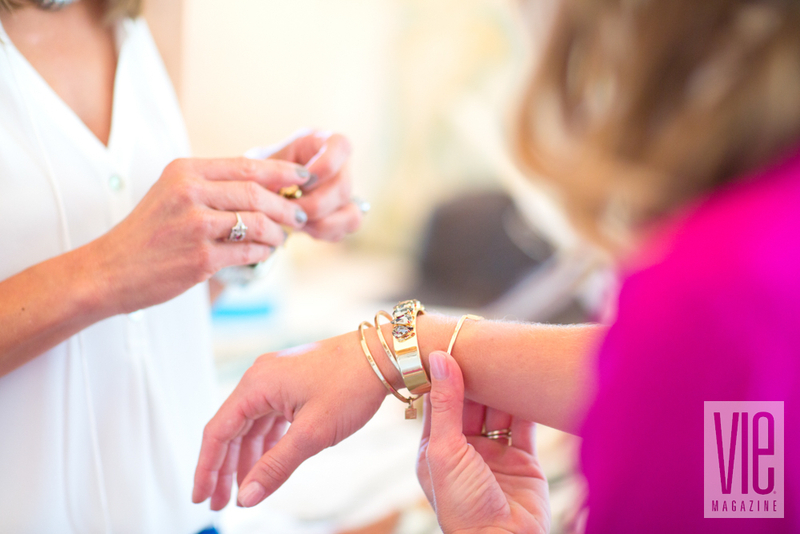 “I go from business to casual all day long, and Amy has really helped me find a balance for style in my life,” Hilary adds. Fresh out of Auburn University and taking on her career as a graphic designer for The Idea Boutique last year, Lucy Mashburn was helping out behind the scenes of this shoot when she was recruited to model—and she brought her A game for the camera! I enjoyed getting to see how her process unfolds, from the initial client meeting to the finished product. Hairstylist Brooke Miller and makeup artist Yvette Nation joined us for the shoot to bring Amy’s visions together and round out the looks she created for each model. 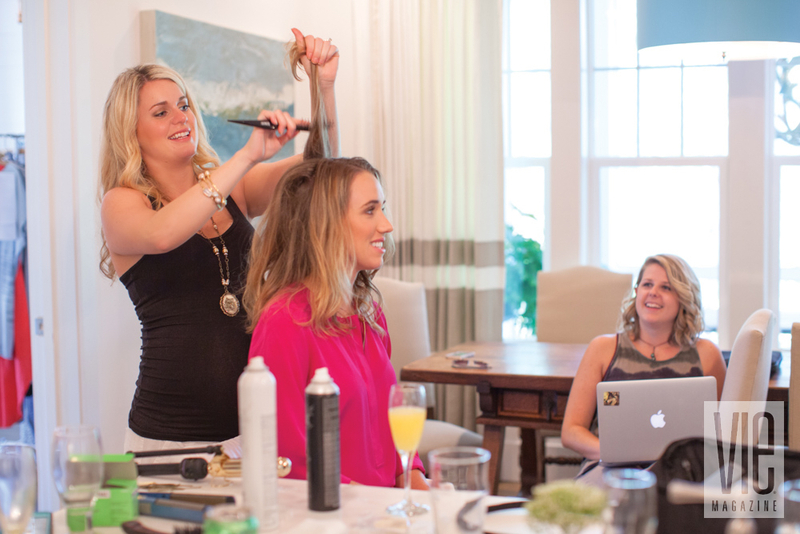 Although she has modeled in photo shoots, video shoots, and on the catwalk herself, stylist Brooke Miller claims she is more at home behind the chair, wielding a blow-dryer and bobby pins, than in front of the camera. “I started assisting for a stylist named Marie in Santa Rosa Beach, Florida, when I was sixteen,” Brooke recalls. “She was kind of like my second mom.” It was during that time that Brooke discovered styling hair was something she wanted to pursue as a career. “Until I learned I would have to do coloring too,” she jokes. Still, she followed her love of creating hairstyles that suit the needs and personalities of her clients and hasn’t looked back. She works mainly out of 10th Avenue Hair Designs in Pensacola, Florida, but travels for weddings and photo shoots, which are her favorites, and other events. Brooke and her husband, Josh, just welcomed their first child, a boy named Milo born on August 26. Congrats, Miller family! Yvette is a New York native who acted in theatre and commercials before going on a beach trip with her husband, Patrick, and deciding to make it a more permanent vacation. She was one of the first makeup artists in the Northwest Florida coastal region to work weddings, and she has also worked at MAC Cosmetics inside Belk at Destin Commons and inside Dillard’s at Pier Park shopping center. The backdrop for the shoot with Wardrobe Made Simple was none other than the Gileses’ own home, where Amy resides with her husband (the home’s builder), John, and their twin daughters, Cooper and Riley. 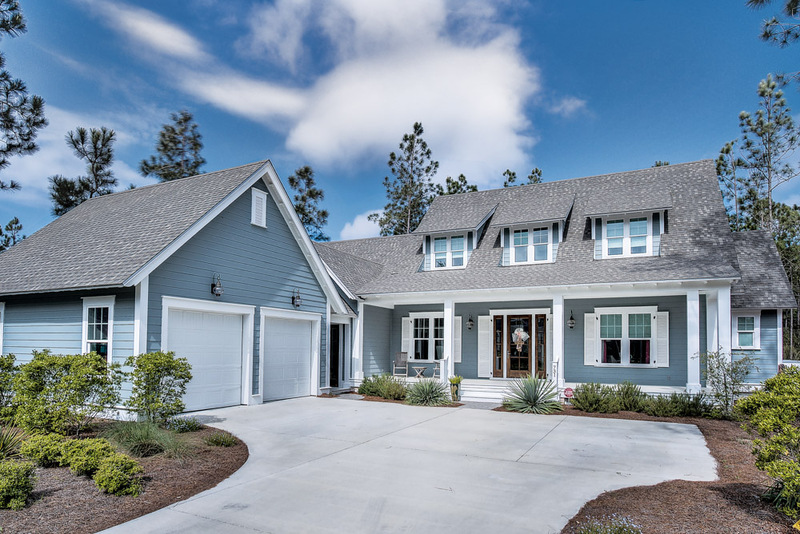 Amy says that John, co-owner of Corestruction based in Grayton Beach, Florida, along with his business partner Matt Parenzan, is always planning with his next home in mind. 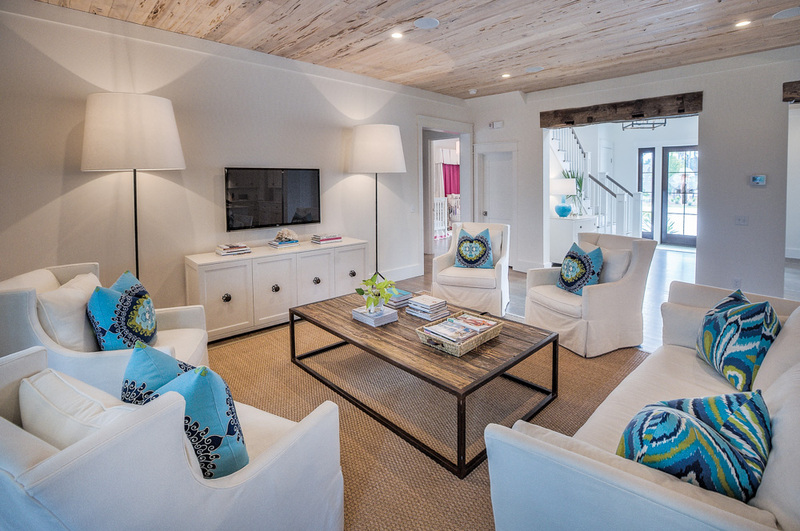 The couple moved into this home in the luxurious community of Watersound Origins after its completion in February 2013. Before that, they lived just two doors down. Although the family will soon be moving from their present nest, Amy and John are excited about beginning the process of building a new one in Watersound Origins. “It’s bittersweet because I really love our home,” Amy admits, “but I’m married to a builder and that’s just part of the deal. John loves the creative process of building a new home for our family. And I get to design a new closet—yay!” No doubt it will be swoon worthy!